SEOUL -- ​Philip Morris International, a global tobacco company, refuted the results of a South Korean probe, claiming heat-not-burn (HNB) cigarettes are less harmful to a human body than conventional cigarettes. 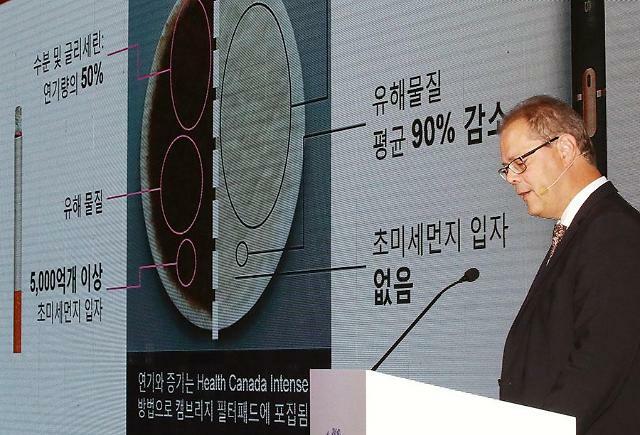 After months of debating over whether HNB cigarettes are just as harmful as ordinary cigarettes, South Korea's health watchdog unveiled test results earlier this month, saying there is no evidence the new trendy HNB cigarettes are less harmful. HNB cigarettes became popular in South Korea since they were first introduced in May last year. About 10 percent of the smoking population has ditched ordinary cigarettes to use HNB products, according to KT&G, a state-owned tobacco company. Philip Morris told reporters in Seoul Monday that in a U.S. clinical study of 984 smokers, health risks such as cancer, high blood pressure and respiratory diseases of HNB cigarette smokers showed the same direction as non-smokers'. The global tobacco company said there was a meaningful statistical difference in health risks between conventional smokers and HNB smokers. The company also demanded an explanation from South Korea's health watchdog about the interpretation of its own test results, claiming that the results of foreign studies were not clearly reflected. 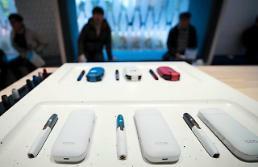 Philip Morris also argued that certain test methods can miscalculate tar contents. "Through the clinical study, we have set a milestone which proves that converting from conventional cigarettes to HNB products lowers risks of smoking," a Philip Morris researcher told reporters.